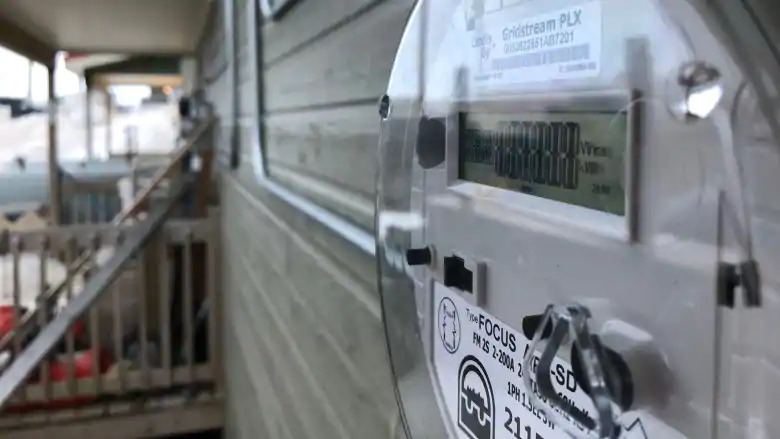 Ahead of the Nunavut government's approval of the general rate increase for the Qulliq Energy Corporation, many Nunavummiut wondered how the change would impact their electricity bills. QEC's request for a 6.6-per-cent increase was approved by the government last week. The increase will be spread out over two years, with the first increase (3.3 per cent) effective May 1, 2018. The remaining 3.3 per cent will be applied on April 1, 2019. Public housing units, however, are exempt from the government's increase altogether. The power corporation also asked for a territory-wide rate, so every community would pay the same base rate (we'll go over specific terms in a minute if you're not familiar with them). But that request was denied, and QEC will now take the next two years reassessing each community's base rate. So, what does this mean for your home's power bill? Well, there's a few things you need to know, which we'll get to in a second. But in essence, as long as you don't go over the government-subsidized monthly electricity usage limit, you're paying an extra 3.61 cents per kilowatt hour (kWh). To be clear, we're talking about non-government domestic rates — basically, private homeowners — and those living in a government-owned unit but pay for their own power. First, some quick terminology. The "base rate" term we're going to use (and used above) in this story refers to the community rate. As in, what QEC charges customers in every community. The "customer rate" is the rate customers actually pay, after the government's subsidy. The first thing you need to know is everyone in Nunavut starts off by paying the same customer rate. That's because the government subsidizes electricity costs, and that subsidy is different in every community, because the base rate is different. For example, Iqaluit's new base rate after the 3.3 per cent increase (remember, the 6.6 per cent is being applied over two years) is 56.69 cents per kWh, while Kugaaruk's base rate rose to 112.34 cents per kWh. Those, by the way, are the territory's lowest and highest respective base rates. However, customers in both Iqaluit and Kugaaruk will each now pay 28.35 cents per kWh because, remember, the government subsidizes the base rates in every community. Now, remember earlier we mentioned a "government-subsidized monthly electricity usage limit?" That's where customers in various communities start to pay different amounts. As simply as we can explain it, the government will only cover so much electricity usage in a month, in every household. Between October and March, the government will subsidize the first 1,000 kilowatt hours, and only 700 kilowatt hours from April to September. QEC says the average Nunavut home will use about 500 kilowatt hours every month over the course of a year. But if your household goes over that limit, you're at the mercy of your community's base rate for any extra electricity you use. Homes in Kugaaruk in December, for instance, will have to pay that 122.34 cents for every extra kilowatt hour it uses, while homes in Iqaluit only have to pay 56.69 cents per kWh for its extra electricity. That's where many Nunavummiut have criticized the current rate structure, because smaller communities are paying more for their extra costs than larger communities. QEC had hoped — as it had asked for — to change the structure so every community pays the same base rate. So regardless of if people go over their electricity usage limits for the government subsidy, everyone would pay the same overage rates. But the government denied that request. The one thing we should highlight, however, is the new rate after the increase is actually lower than what customers were paying in 2014. For the past seven months, customers have been getting power from QEC at a discount. That's because when QEC sets its rates, it does so based on global oil price forecasts. Since 2014, the price of oil worldwide has slumped, and so QEC was able to purchase it at less than it had anticipated. When that happens, and QEC makes more than $1 million within a six month period thanks to the lower oil prices, it refunds the excess profits back to customers through a discount on electricity base rates — the government subsidy, however, doesn't change so the savings are passed on directly to customers. Now, the 6.6 per cent increase to electricity rates, is actually being applied to the discounted base rate from the last seven months. So again, while customers are paying more than they have been for the last seven months, it's lower than what they were paying in 2014. Lastly, to be clear, all the figures used in this story are only for domestic non-government rates. Commercial rates and changes have not been explored in this story, given the differences in subsidy and rate application.